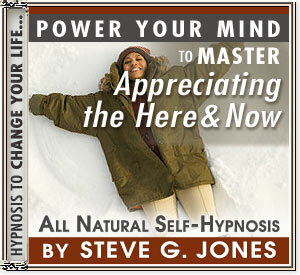 Power Your Mind Naturally With Hypnosis To Really Appreciate The Here And Now! I think we should put an end to both of those types of thinking! Instead of wanting to change things in our past and wishing for a brighter future, why don't we all appreciate the here and now? We definitely can't change the past and we also can't predict the future. Appreciating our current lives seems to be the most important thing. Start truly appreciating the Here and Now effectively and naturally with hypnotherapy, and realise the incredible positive impact that can have on your life as a whole!